What’s even better than playing games in a snowy fantasy kingdom? Filling your head with phonics at the same time! Just like the smart princesses they are, Anna and Elsa have come up with a magical kit to get you reading really fast. 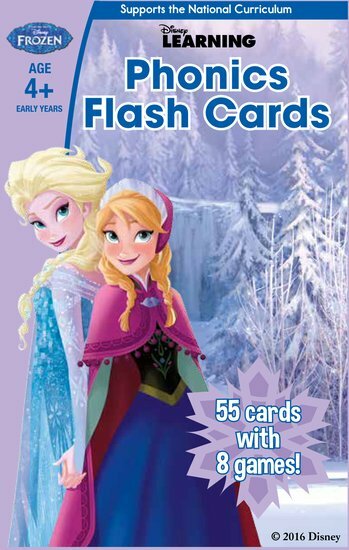 It contains a big pack of cards for you to play eight cool Frozen games. But these games aren’t just loads of fun. They teach you letters and phonic sounds. So get learning! Because we’ll tell you a secret: Frozen isn’t just a great film. There are lots of books to enjoy as well, once you can read alone!